Fellow witch Joanna DeVoe interviewed me for her podcast Hippie Witch: Magick For A New Age! We had so much fun chatting favorite books, magic, and feminism. Listen here! Thank you to Jennifer Chen for this wonderfully thoughtful interview over at Brit + Co. I tackle one of the questions I actively avoided in Life Lessons Harry Potter Taught Me: what the series taught me about love. I also discuss what I love about Luna Lovegood (spoiler: everything). Don't be sad like Napoleon; get your copy! 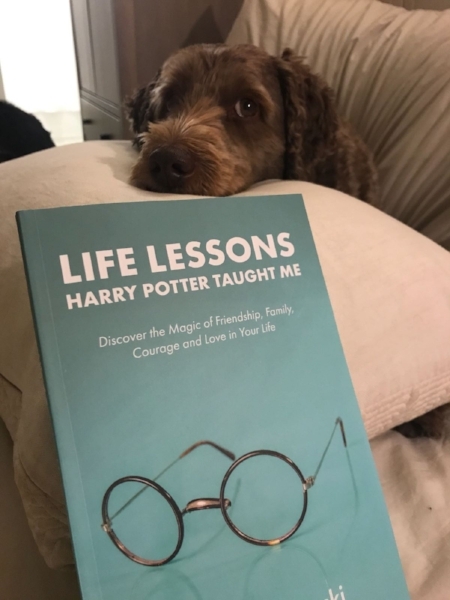 Life Lessons Harry Potter Taught Me is now available! Use the hashtag #lifelessonshptaughtme when you see the book in the wild, or to post your own pretty faces or insights. I can't wait for you to read it. Be sure to leave a review on Goodreads and/or Amazon and let me know what you think! 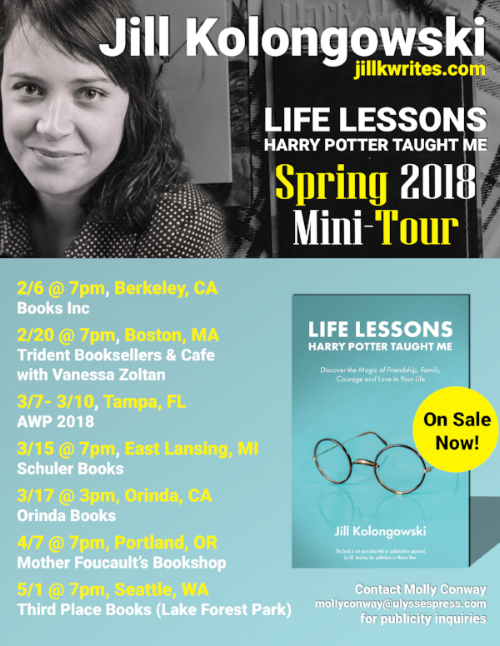 Also, if you're in the San Francisco Bay Area, please come celebrate the book launch with a reading, conversation, and Potter-themed cocktails! I had the great fun of being interviewed on TVO's The Agenda with Steve Paikin as a part of their coverage of the 20-year anniversary of Harry Potter. Watch to see me chat Hogwarts Houses, favorite quotes, and the legacy of Harry Potter with some other amazing panelists. 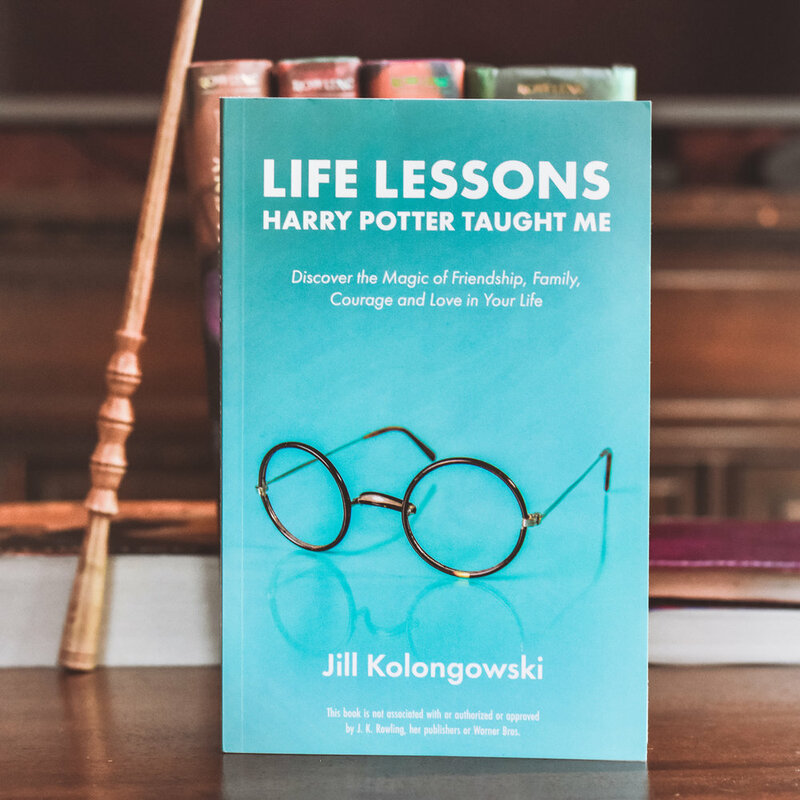 My first book, a collection of essays called Life Lessons Harry Potter Taught Me, is forthcoming in October 2017. In the meantime, it's now available for preorder! Find more details and news about the book here. To preorder now, find it on Amazon, IndieBound, or Barnes & Noble.